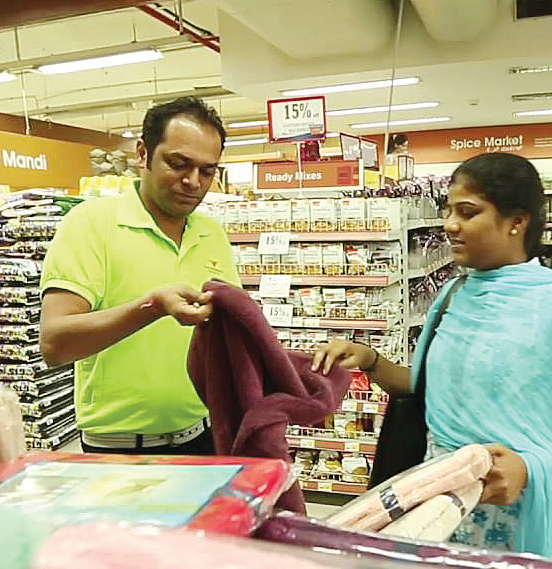 Organised retail in India is still at a nascent stage. However, it did witness a Cumulative Accumulated Growth Rate (CAGR) of 19 to 20 percent from 2009 to 2013. Still, in 2015, it was estimated that there are more than 15 million mom-and-pop stores across India while organised retail accounted for just 8 percent of the Indian retail market! By 2020, it is expected that the organised retail will account for at least 24 percent of the overall retail market in India. One of the largest sectors of the Indian economy, the retail sector had a total market size of around US$600 billion, which is expected to reach US$1.3 trillion by 2020. It accounts for a little over 10 percent of India Gross Domestic Product (GDP), and employs around 8percent of working people in India. With several new entrants in the retail space, it has emerged as one of the most dynamic and fast-paced industries of our country. It is no wonder that India is the fifth-largest global destination in the space of retail market. Besides the physical stores, online retail is doing quite well in India. It is expected that with the increasing number of internet users, India will soon become the world’s fastest-growing e-commerce market. By 2018, e-commerce sales in India are expected to touch US$55 billion. With reliable networks available at faster speeds, it is expected that more and more people will adopt online shopping facilities. By 2025, India may have as many as 530 million shoppers and Gross Merchandise Value (GMV) of e-commerce is expected to touch US$220 billion. According to a joint report by India Direct Selling Association (IDSA) and PHD, direct selling industry in India may swell to Rs 23,654 crore (US$ 3.55 billion) by 2019. Now, that the government has offered 100 percent Foreign Direct Investment (FDI) in multi-brand retail segment, and 51 percent FDI in single-brand segment, the sector is expected to grow more. Success in retail depends on one critical factor – to have the right product, at the right store, at the right price – to offer to your customers. The Buying team decides a profitable product range for a store by evaluating available products, and deciding ones which will be most in demand by the customers and earn maximum profit for the store. It also negotiates the best possible price with suppliers or vendors, and may also have to handle responsibilities like quality control of products in the store, in-store displays, and brand management. If you are a graduate with some shop floor experience, are commercially astute, and have some knowledge about which products in a particular category (like food, cosmetics, fashion apparels etc.) work best, you can easily fit into the role of a Buyer. You will have to study the market, the consumers, and the competitors to make buying decisions. You may also have to handle administrative duties and find the most suitable sources to procure a product and deliver it to the warehouse. Keeping the customer purchasing patterns and their buying process in mind, you will also be responsible for building a balance and commercial product range at the online or physical retail store. In bigger retail stores, buyers might work on a specific product area, but in smaller stores, they might have to wear many hats at once. Besides market awareness and good communication skills, being resilient, enthusiastic, a good organizer, and work as part of fast-paced and close-knit team can help you to excel in this field. Merchandisers often work alongside Buyers. They track and analyse historical sales and stock data, and keep an eye on current trends to forecast the sales and stock requirements for the store. In fact, it is the merchandisers who decide how much buyers can spend on particular types of items in the coming seasons. At the retail chain stores, merchandisers are often employed with the head offices to decide which stores should go for which product lines (based on market information and statistics) to make maximum profits. Stock controllers, distributors and allocators – all come under the umbrella term ‘Merchandisers’. Allocating stock to the stores, and ensuring that suppliers deliver stocks to the right store at the right time – is quite a complex role in the multi-brand retail outlets. Graduates with strong number crunching sand data analysis skills, strong commercial streak, good communication skills, and retail awareness can choose this line. Computer skills, Maths, Statistics, Financial Studies, and Business Studies can give you an edge in the field. Have you noticed how some products in a store instantly grab your attention? This is the work of Visual Merchandisers. VMs display the merchandise in a store in a manner that it looks more attractive to the customers, and thus, gets sold more easily. From graphics to window displays to store layouts, visual merchandising involves everything that goes into displaying products in a stall or retail store or shop. It requires creativity and acumen to increase traffic to the store or one of its departments by making it visually appealing, and lead customers to the selected products by positioning them correctly or highlighting them using different techniques. Visual merchandising, fashion merchandising, graphic designing and fine art courses may increase your opportunities to find a job in this area. Retail experience and knowledge of shopping patterns of consumers comes in very handy in this line. A degree in Psychology, visual and spatial abilities, product knowledge, and grasp on industry trends can give you an added advantage in the VM jobs. Designers take the help of Merchandisers to know what customers will want to buy two seasons in advance. They then work with the Buying team to translate their ideas into an actual product range. A fashion or textile designing degree, an eye for the latest fashion trends (both local and global), a fabulous portfolio, a flair for designing, and commercial acumen is something all designers need to be a success in this field. Knitwear, Graphic Designing, Clothing Technology, Fashion Marketing or Buying are other courses you might opt for. This is the job you would want to do if you love fashion magazines, watching ramp shows, visit design fairs, and watch out for latest fashion in season as seen in society, TV, films, and popular hangouts. Often, to move up, you have to start low, and that might mean making tea, doing the file work, chasing fabric samples, and making sample cards too. Most manufacturers or designer brands are reluctant to hire designers with no previous experience. Hence, a portfolio and some experience in the industry (even as assistants) can be really helpful to get a job you like. Wholesale is a part of the ‘buying cycle’ of retailing. It envelopes several functions, ranging from manufacturing of goods to releasing products into retail markets. It includes imports, exports, sales and merchandising. A degree in fashion or business, and some relevant experience in a retail head office or wholesale environment can open up several opportunities for you in the field. Technologists perform ‘quality control’ functions in a retail scenario. They ensure that all products meet legal and regulatory specifications for quality and safety, as well as the specifications set by the buyers. Usually, they come from engineering and food science backgrounds. Garment technologists, however, require a degree in fashion or textile technology. Technologists need strong analytical and logical skills, and often have to test new products and the materials used in them. Chemical and physical sciences, computing and mathematics, production engineering, materials science and quality management courses may also help you to get these types of retail jobs. Retail industry has a wide-ranging use of marketing and PR experts - from marketing research to promoting products and drive sales. Market and PR personnel research consumer markets, monitor press and magazines (and electronic and online media) for brand coverage, and also get customer satisfaction questionnaires filled up. The job role also includes writing and sending out press releases, sourcing and sending out marketing material, working on advertising campaigns and photo shoots, organizing live events, and doing data analysis to measure the success of a particular media campaign. A degree in Marketing, PR and Advertising, Business Management, Information Systems and Communications are most appropriate for entry to this field, though a degree in English Literature or related subjects may help you get the job too. Ground staff in a retail store (that deals with customers and run the stores on day-to-day basis) comes under this category. Shop-floor workers and all operational workers (from receptionists to managers) at a gym, hotel, resort or business outlet come under this category. You don’t really need to be a graduate to enter this field. Just a flair for retail, drive and commitment is enough to fast-track into a management position. Delivery of products at the right place and right time is an important retail function. If you are in the distribution or the supply chain position, you are responsible for distribution of goods, manage storage centres, and fulfill customer contracts. At senior positions, you might also look after other retail functions such as market information, capital and facilities, labour etc. Though a degree is not mandatory to enter the field, an educational qualification in areas like business management, distribution and logistics, economics, information systems, computing, transport, science, and geography can increase your chances of getting a job in this field. Retail industry also hires people for general business functions like Human Resources (HR), Accounts, and IT and Information Systems. If you are an expert in one of these fields, you may find a good job in the retail sector too. Retail management is about managing supermarkets and hypermarkets. Super-fast, computerized and dynamic retail spaces today require managers who are fully aware of marketing strategies, consumer behavior, brands in the market, and retail philosophies. To become a retail manager, you should ideally clear the CAT (Common Aptitude Test) to pursue MBA from the IIMs, or clear GMAT (General Management Aptitude Test) to pursue MBA abroad. MDI Gurgaon and NMIMS University, Mumbai are also well-known for retail management courses. The Ministry of Urban Development has introduced a Smart National Common Mobility Card (NCMC) which allows you to travel by metro and other transport systems across India, as well as do your retail purchases. The Government of India has already accepted the changes proposed by the Rajya Sabha select committee to the Goods and Services Tax (GST) Bill. It is expected that the implementation of the GST across India will make the movement of goods easier across the country. The Government has approved a proposal where the distinctions among different types of overseas investments will be scrapped for good. Now, portfolio investment up to 49 percent by foreigners will not require approval from the government, and will not have to comply with sectoral conditions – until it involves a transfer of ownership or control of Indian entities to foreign hands. It is expected that this liberalization on the part of Indian government will attract more foreign investments to the retail sector and push it up. *Adidas AG (which owns Reebok and Adidas brands) has become the first foreign sports company to open 100 percent foreign-owned stores in India. *Aditya Birla Retail has become the fourth-largest supermarket retailer in India after acquiring Total hypermarkets of Jubilant Retail. *Aeropostale, an American teen fashion brand, expects India to be among its top three markets in the next four years. *Amazon.com has invested over 700 million dollars in its India operations since July 2014. Amazon India is now catering to over 2,100 Indian cities and towns. *Datawind and HomeShop18 have jointly launched special sales programmes to sell tablets across broadcast, mobile and internet media. *Gurgaon-based Opinion has raised a funding of US$7 million for its hyper-local delivery startup. *IKEA, the largest future retailer in the world, will be building its first retail store in Hyderabad too, which will entail and investment of around Rs 500 to Rs 600 crore. *Lulu Group from Abu Dhabi is going to invest Rs 2,500 crore to open a modern shopping mall, a fruit and vegetable processing unit, and an integrated meat processing unit in Hyderabad. *MobiKwik (a mobile wallet company) has joined hands with Jabong.com to offer it mobile payment services. *Textile brand Arvind Limited is entering the beauty and cosmetics segment by partnering up with Sephora (a brand owned by French brand Louis Vuitton). Overall, we can say that the entry of foreign players in India, rising incomes, increasing urbanisation, and favourable demographics of our country spell good news for the Indian retail sector. It means that those who want to make careers in retail will have no dearth of job opportunities for the next few years.